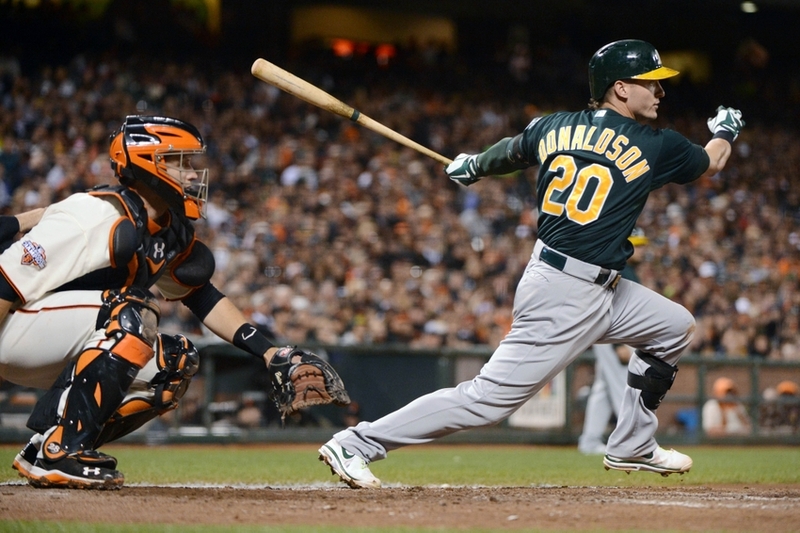 San Francisco Giants: Are They on a Collision Course with Oakland? The San Francisco Giants are currently the best team in all of MLB. They have a 42-22 record, and they’re currently leading their division by 8.5 games.The only team that comes close to the Giants’ .656 win percentage is the Oakland Athletics. The A’s have a 39-25 record, which equates to a .609 win percentage. The Giants won World Series titles in 2010 and 2012, and the A’s won the AL West in 2012 and 2013. The Giants and A’s haven’t met in the World Series since 1989, but could the Giants and the A’s finally meet again in the 2014 World Series? It’s definitely a possibility.